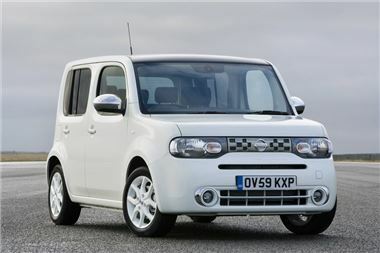 Nissan UK has been forced to stop imports of the Cube, meaning the untimely end of one of the more unusual cars on the market. Nissan had already brought in 1000 examples of the quirky people carrier, which is built in Japan, but the poor exchange rate between the Yen and the Pound means there will be no more cars coming to the UK. There was another shipment of UK-spec cars due to leave Japan but this has now been cancelled as the profit margins dealers would have been making was deemed so low or non-existent that it simply wasn't worth it. Instead Nissan UK will be focussing on the Juke and the new Micra for 2011 along with the Leaf electric vehicle. "The Cube is a cult car and people who love them really love them," said Tom Barnard, Communications Director for Nissan UK. "But it's a car that will only get sold when people see it. We wouldn't have advertised it due to the small profit margins and so it would not have been easy to get the critical mass of sales we needed," he added. The original Cube was launched in Japan in 1998, but it was the 2002 model that introduced the unusual looks. Although neither of these was ever officially sold in the UK by Nissan dealers, many examples of the second generation model were imported by individuals and it gained a cult following. Nissan introduced the current version to the UK market in 2010 and many critics loved its quirkiness, practicality and sense of fun. The oddball model was most popular with buyers in urban areas who wanted something design and fashion led, however it seems that ultimately its appeal wasn't quite wide enough. It's not all bad news for those who still want one as there are still a handful of new examples available at Nissan dealers but you'll have to be quick to snap one up before they go. Read what it's like to drive and own here.